It’s no secret: Marvel Studios doesn’t hold the film rights to all of Marvel Comics’ characters. 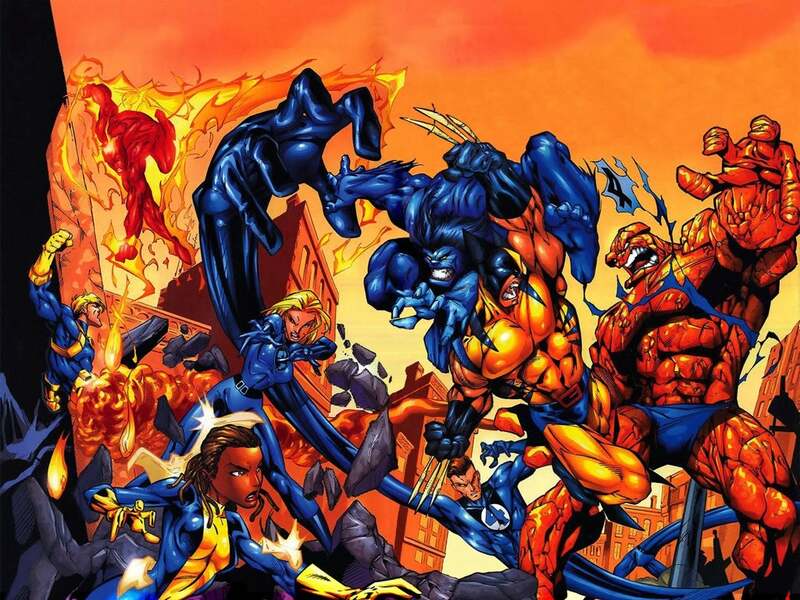 Sony has long held the rights to Spider-Man (and used to have a few others), and Fox currently makes movies featuring the X-Men characters and Fantastic Four family. Recent developments mean Marvel Studios and Sony Pictures now share Spider-Man. Sony will make the solo films, Marvel will use him in their shared Marvel Cinematic Universe, and both studios are working together to curate the character’s film future – Marvel even has creators working with Sony, and is responsible for casting the character. Interestingly, that relationship was first born of a relationship involving toys and other merchandise. In 2011, Disney and Sony agreed to a new deal that gave Marvel full merchandising rights for Spider-Man. That arrangement followed Sony giving up animation rights to Spidey right when Disney bought Marvel. It’s all led to their film sharing, and Peter Parker being back amongst the Marvel characters on the big screen. Fox and Marvel Studios’ relationship is, famously, not nearly as close. The former controls the film destiny of the X-Men and all associated mutants (and some others in the bunch), who held Marvel up by their own coattails in the 1990s, and the Fantastic Four, considered Marvel’s “First Family,” and their original answer to the Distinguished Competition’s Justice League (before the Avengers came along, of course) and associated characters like Kang, Silver Surfer, and others. But the biggest difference here (before Marvel Studios and Sony Pictures’ crazy new Spidey-sharing deal), comes in the licensing category. You see, when it comes to those characters, Marvel shares the profits with Fox, even when they and their direct partners do most (or all) of the research and development. Exact figures are, sadly, nigh-impossible to come by. Senior VP Tom Brevoort has said, simply, “If you had two things, and on one you earned 100% of the revenues from the efforts that you put into making it, and the other you earned a much smaller percentage for the same amount of time and effort, you’d be more likely to concentrate more heavily on the first, wouldn’t you?” As far as what that percentage precisely is, anonymous insiders have estimated anywhere from 25%-50%; that means if, for example, Disney Interactive was to invest the same amount of research and development into a Wolverine figure and character for Disney Infinity, they’d make as little as 25% of the profit of the sales of that figure as they would for, say, Captain America or Rocket Raccoon. They would have to sell four times as many figures to even break the same basic level of actual dollars earned; if that’s the bar set, and you talk about doing an X-Men set or a Fantastic Four set, you’re talking about Disney Interactive (and the Walt Disney Company in general) having to completely change their earnings estimates – this is a publicly traded company that answers to shareholders. If those shareholders are told, “So, we’re going to make a quarter of what we made last year, because some fans want Wolverine and Cyclops…” Well, you can probably imagine how that would go on Wall Street. That explains the licensing side of things: Disney (note we’re saying Disney, not Marvel Comics, or even Marvel Studios) would be putting the same X in, but getting, again for the sake of argument we’ll talk about the low-end estimate, .25Y out (even at 50%, you'd still be talking about a figure that would make shareholders cringe). This is simple business, and while as fans we may love the idea of Magneto and Loki side-by-side taking on Iron Man and Jean Grey with the figures sitting in front of us, it makes no financial or business sense for Disney to do. And then there’s Marvel Comics. Many reporters have linked these two cases together. Websites like fan news/blog BleedingCool point to story events like Wanda “Scarlet Witch” and Pietro “Quicksilver” Maximoff being retconned into no longer the children of Magneto, or the cancellation of Marvel’s Fantastic Four comic book as being jabs at Fox, designed by the folks at Marvel Comics or even as high as Marvel Entertainment CEO Ike Perlmutter to prevent Fox from having free advertising in the form of those comic books. Business Insider went further, somehow connecting all of this to 2006 event comic book House of M that drastically reduced the mutant population of the Marvel Universe, neglecting to note that was over three years before Disney bought the company, and the event was largely undone with 2012’s Avengers vs. X-Men, a comic event that both allowed new mutants to be born once more, and that event happened three years after Disney’s purchase. Indeed, their other examples, like the Death of Wolverine, which resulted in multiple Wolverine-centric mini-series which led to a Wolverines weekly series, don’t mean much when you actually look at their direct results. Now, Perlmutter’s involvement at this point is educated speculation. As Marvel Entertainment CEO, he oversees, in a broad sense, all three entities we’re speaking of here: Marvel Comics, Marvel Studios, and Marvel Licensing. But the problem we’re speaking of here is discussing Marvel Comics, the public face (and most easily accessible portion) of the company, as being somehow in control of, or dictated by, these other two portions. Marvel Licensing (and by extension to some degree, Studios) is dictated by simple, business numbers – how much money will this product make us (and by extension, our shareholders?). The allegation is that Marvel Comics is being changed because of those Licensing deals. 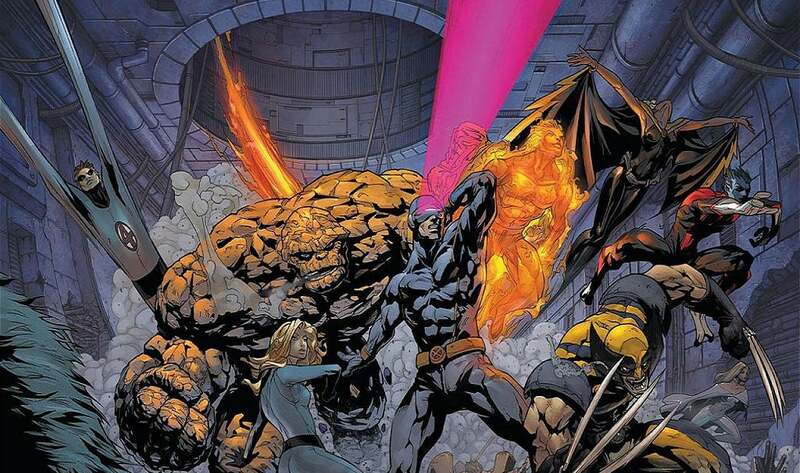 Yes, the Fantastic Four comic was cancelled (incidentally, the same month that virtually every Marvel Comics ongoing series was ended or put on some indefinite hold due to the launch of Secret Wars). 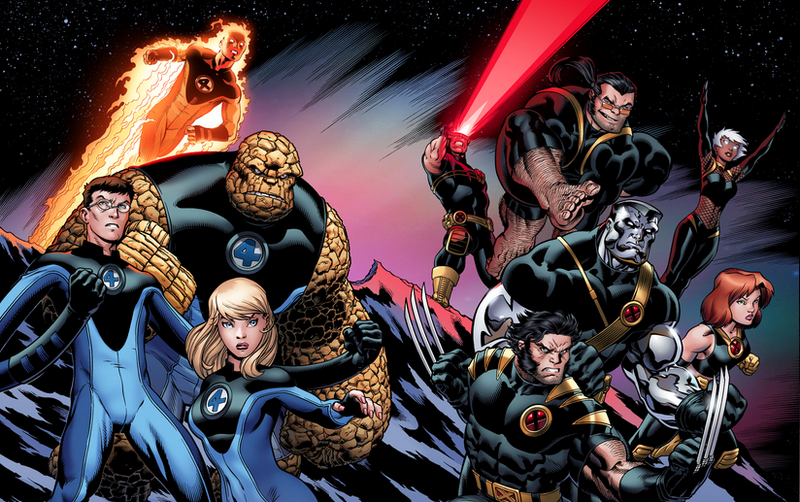 With its relaunch in 2014, the hope was to put out a great Fantastic Four comic that sold well – that is, in fact, the only thing Marvel Comics has to worry about. The reason is simple: comic books do not sell movies. Over the course of its fifteen months and sixteen issues in print, it averaged about 34,000 copies per issue – and that includes the largely out-of-context 65,000 issue first issue, and the 5-10 thousand issue bump it received once the planned end and cancellation was announced. At $4 and issue, that makes that comic a $136,000 proposition. The Fantastic Four movie that everyone allegedly loathes, the one from 2005? It made $330.5 million dollars. That’s 2,426 times as much as an issue of Fantastic Four. Even if you go for a year of comics, or approximately $1.632 million (and again, this is gross, not anything to do with actual profit), that still sees the movie as making 202.5 times the comic. Comic books do not sell movies. While licensing is directly linked to films, and to their rights, there simply is no real proof that comic books are driven by licensing, or by film rights. Posters are licensing products. Toys are licensing products. Those aren’t part of the Marvel Comics conversation. If you want to look at the “All-New, All-Different Marvel Comics” promotional art, there you could make a discussion out of things. But even the second of those posters included two mutants (both Wolverines, but still), and The Thing, a member of – you guessed it – the Fantastic Four. We don’t know exactly what Marvel’s publishing schedule will look like when the relaunch/reboot/reimagining/shake-up or whatever you’d like to call it hits this fall. Recent history (and promotional material presented so far) suggests that the mutants of the Marvel Universe will spread out a bit. They may not all be X-Men. And guess what? That’s nothing new. Beast, Storm, Wolverine, they’ve all been Avengers. Members of the team over the years have come and gone as villains, as loners, as space-faring pirates. These are stories; some have been great, some have been terrible, some have been driven by editors, some have been from individual creators, some have been from large teams and conglomerations of writers and artists. But the facts simply do not support the idea that Marvel Comics has given up on these characters, or is pushing them aside to spite Fox, who controls some of those characters in a licensing and film capacity. What’s next for Marvel? We’ll find out soon – September solicitations will hit in about 2 weeks (mid-late June), and will offer a look at the approaching end of Secret Wars. Conventions like New York Special Edition and Comic-Con International: San Diego will bring to bear many new announcements and peeks. And, sadly, you’ll continue to see a very small representation of X-Men and Fantastic Four characters in toys and other licensed products. But that’s one business, and comics are another, and putting them in the same category isn’t just wrong, it’s silly. Note: Marvel Comics was contacted about this piece and chose not to comment.